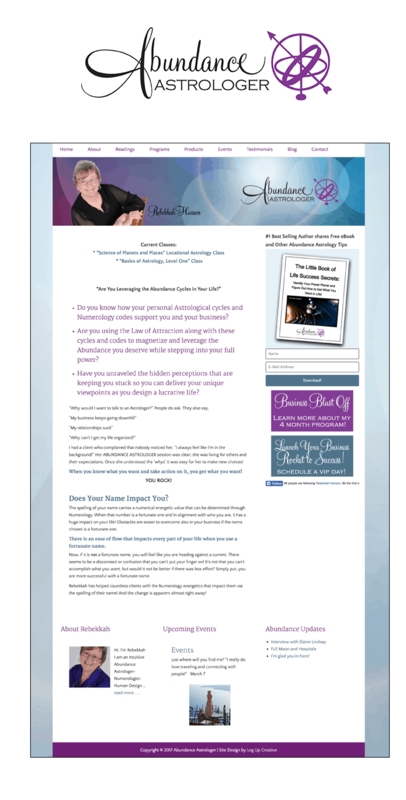 Rebekkah Hanson and I met several years ago when we were both involved in a coaching program. At one of our events, we were challenged to sell our services to someone else in the room, and I was lucky enough to be sitting next to Rebekkah! She had designed her own website and was ready for something that was as polished and professional as she is. Since she is an astrologer, we wanted the site to be fun, but not too “woo”. I had so much fun designing her logo and website – she was a pleasure to work with, and she’s just fun to hang out with in general. If you’re looking for some answers in your life and have ever considered using an Astrologer, I highly recommend her!